Vancouver's proposed empty homes tax would include secondary properties being booked on the vacation rental website Airbnb, with the maximum fine for people who evade the levy set at $10,000. New details of the tax emerged on Tuesday, when council voted to push ahead with public consultations. Mayor Gregor Robertson stressed the aim was to free up supply in the city's crunched rental housing market. "Ultimately, the goal is to get thousands of units back into rental housing at a time when it's almost impossible to find a rental home," Robertson told council. The province granted Vancouver the authority to create the tax in July, months after a city-commissioned report found that about 10,800 homes were sitting empty, most of them condos. Staff have been speaking with experts and researching other jurisdictions' taxes and presented a report Tuesday with their suggested approach. The levy would be the first of its kind in Canada. The report proposes that the tax be administered similarly to the British Columbia Home Owner Grant. A parcel of residential property that serves as a principal residence for an owner, long-term tenant or a friend or family member would not be taxed. That means that secondary properties — such as investment condos — that are sitting empty or being rented out for short-term stays using sites like Airbnb would be subject to the tax. 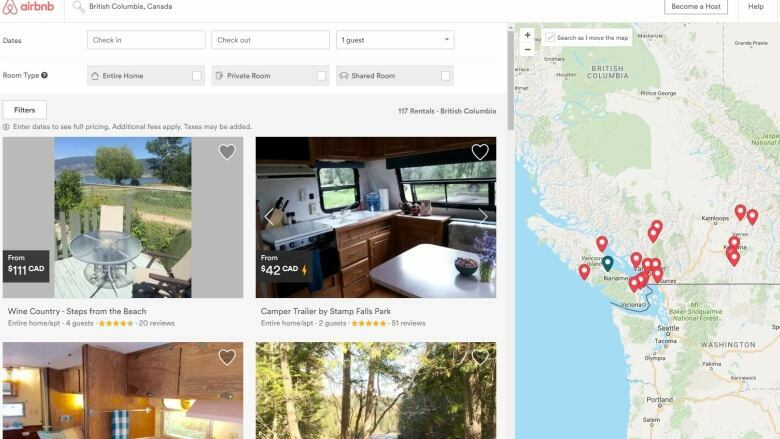 Tsur Somerville, a University of British Columbia business professor, said it made sense to apply the empty homes tax to properties being used for short-term rentals, even though they're not actually empty. "In a city where accommodation is really, really scarce, the first priority should be housing people who live and work here," he said in an interview. The tax would not apply to people renting out their primary residences on Airbnb, or to basement suites, rooms or laneway homes that are either sitting empty or rented for short-term stays. Airbnb said in a statement it's committed to working with government to establish fair, sensible rules, including around taxation. The city is also working on separate regulations for short-term rentals, with a report to council expected next month. Public consultation on the empty homes tax will begin this fall, with a proposed bylaw introduced to council in November. The tax would be in place for the 2017 year, with the first payments in 2018. There are many questions left to be settled through public talks, including whether secondary residences that are vacant for only part of the year should be exempt. The tax rate is also still being considered, with a current proposal of between 0.5 and 2 per cent of assessed value. Is Vancouver's vacant home tax going to rely on snitches? Penalties are also still being debated. The maximum fine the city can impose under its charter is $10,000, but it will consider a combination of the fine plus a higher tax rate for people who fail to self-declare or fraudulently declare, said Kathleen Llewelly-Thomas, general manager of community services. Robertson said the city has asked the province many times to increase the maximum fine. The council vote was split 7-3, with councillors from the centre-right Non-Partisan Association opposed. Coun. George Affleck called the tax a "bureaucratic nightmare" and said the city should instead encourage the building of more townhomes and rowhomes. The mayor dismissed the councillors' concerns as "fear-mongering." Residents will be asked to declare the status of their properties as part of the regular property tax process, with enforcement through random and targeted audits and response to complaints, Robertson said. "I'd ask Coun. Affleck if he thinks the Home Owners Grant is a bureaucratic nightmare or income tax is a bureaucratic nightmare," he said. Vancouver's rental vacancy rate of 0.6 per cent is the lowest of any major city in Canada and its rents are the most expensive, housing planner Matthew Bourke said. If just 2,000 units became available for rent, the vacancy rate would lift to a healthy 3.5 per cent, Bourke said. Tony Gioventu, executive director of the Condominium Home Owners Association of B.C., said condos built since 2010 do not have restrictions on rentals. Many of the vacant units are thought to be in new buildings in upscale neighbourhoods like Coal Harbour, he said. But if those condos were rented out, they wouldn't be "affordable housing," he pointed out. "They'd probably be rented out for $3,000 a month."